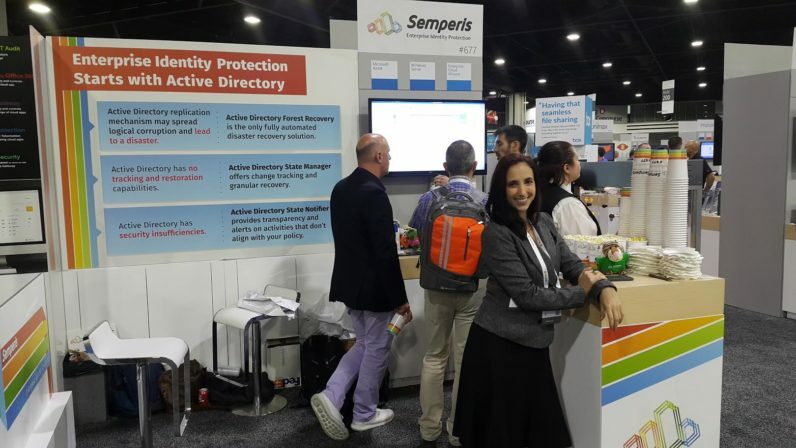 Semperis, an enterprise identity protection company, shared innovative hybrid solutions for Active Directory (AD) management at Microsoft Ignite 2016 in Atlanta, GA. Microsoft Ignite is the largest Microsoft event globally, with thousands of participants from around the world visiting to learn, network, and get a deep look into Microsoft-related products and services. Semperis, a longstanding Microsoft Cloud Alliance partner, was recently nominated by Microsoft as one of the 15 most promising startups worldwide. Semperis’ collaborations with Microsoft have enabled the development of technologies specifically aligned with the needs of Active Directory administrators in hybrid IT environments. The technologies focus on a fast and fully-automatic Active Directory management and recovery to let organizations significantly reduce AD downtime in case of a crisis. The hybrid configuration of the solutions allows organizations to take advantage of their Microsoft Azure infrastructure in order to have a datacenter-independent recovery solution for their AD. Companies can also start implementing the Semperis solution with their on-premises infrastructure and extend to the cloud at a later stage.